Dentist serving Chamblee, GA – Dr. Novy Scheinfeld, one of the leading Atlanta area dentists, was recently recognized by The Consumer Research Council of America as one of ‘America’s Top Dentist’ for 2018. Every year, about 6 million people visit the Louvre to see Da Vinci’s famous portrait, the Mona Lisa. For centuries since 1508, Da Vinci’s ingenuity and talent have sparked many debates and a multitude of theories attempting to uncover the mysteries behind the famous Mona Lisa smile. The enigmatic smile has been the source of inspiration for many and a cause for desperation in others. In 1852, the French artist Luc Maspero jumped four floors to his death from a hotel room in Paris. In his suicide note he explained that he preferred death to living without understanding the mystery behind her smile. 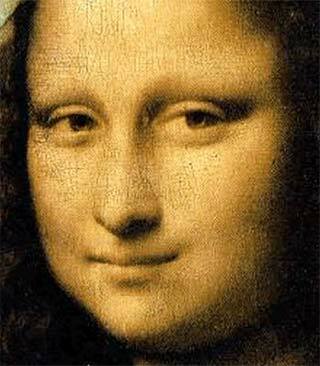 When discussing the mystery behind the smile, art experts often refer to a painting technique developed by Da Vinci known as sfumato. In Italian, sfumato means “vanished” or “smoky”, implying that the portrait of the Mona Lisa is ambiguous and blurry, leaving its interpretation to the eye of the beholder. This technique relies on a true understanding of light and nature, using a subtle blend of tones and colors to produce the illusion of form, depth and volume. Brookhaven Dentists: Is the Right Smile Center right for me? Make the right choice in the right dental practice; choose Novy Scheinfeld, DDS, PC, and her daughters Hanna Orland, DMD and ZoAnna Scheinfeld, MS, DMD located in the heart of Chamblee, GA. Some people avoid smiling because they are ashamed of their teeth or unsure of how they will be received by the dentist after so many years of procrastination. Our practice has over 4 generations of patients who are not ashamed of their smile. Cosmetic dentistry involves improving the aesthetics and function of your smile with the right smile, to make you look and feel more attractive. Click www.rightsmilecenter.com and see for yourself. We have over 1000 unedited reviews by patients with real life experiences in our practice. Don’t believe me, read what others have to say – good, bad or otherwise. If quality oral health care and cosmetic dentistry are right for you, then we are right for you. An attractive smile comes through as a youthful addition. Most women and girls, including myself, spend far too much time and energy worrying about our physical appearances when we have so much more to offer. And very often it’s aspects of our body that as much as we try, there’s just not much we can do about it. To compound this, the media and Hollywood are constantly throwing fuel on the fire. More than 50% of women say they would consider having plastic surgery. But the one aspect of our looks we can change without unrealistic expectations is our smile. Our smile is the first impression we make whenever we meet someone. A smile makeover can be achieved by prosthodontist in ways that couldn’t be imagined years ago. The simple use of veneers or teeth whitening can make all the difference in the world in our appearance. Those who have dentures and receding jaw lines can now be modified by implants. So, invest in your smile, you wear it every day. My goal is to create a positive self-image; what we like to call ‘the right smile for your life style’. If we can be of assistance or you have a question please do not hesitate to contact our office and make an appointment for a free consult.